We are offering you a topic that is hopefully of interest to the many of you for our March SmartySeminar - BUGS. Learning about these little critters couldn't come at a better time as spring is approaching. Bugs this year are prolific - mealybugs, scale, and not to mention the Spiraling White Fly. They are everywhere. 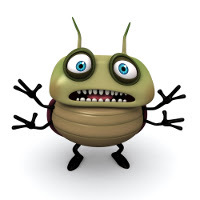 On March 16th at 10:30 a.m., John Staffo, a very dynamic and animated speaker, is going to share with us some of his knowledge about pests and pest control in South Florida. For over 20 years, John has been a sales rep for 3 large distributors of lawn and garden plant-care products exclusively in the South Florida market. After I talked to him once about bugs, I knew he was the person whom I would call when I had questions about plant pests and products to combat them. I guarantee that you will enjoy his presentation and learn more about bugs than just the basics. Be sure to come for his talk on Saturday March 16, at 10:30 a.m. 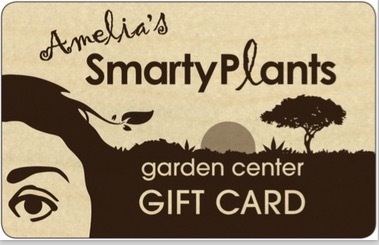 Please reserve your space by either e-mailing us at smartyplantslw@gmail.com or by calling 561.540.6296. Hope to see you on the 16th. We are flexible with the time of our SmartySeminars. We usually pick 10:30 a.m. because it seems to be a not-so-early and a not-so-late time time of the day to get together. We are however, open to having SmartySeminars at other times if many of you prefer it. We want to make it convenient so as many of you can come. We have considered 5 p.m. on Saturdays as an option. Perhaps a glass of wine at the end of Saturday instead of coffee at the beginning of the day can be part of our seminars. We are eager to hear your feedback.